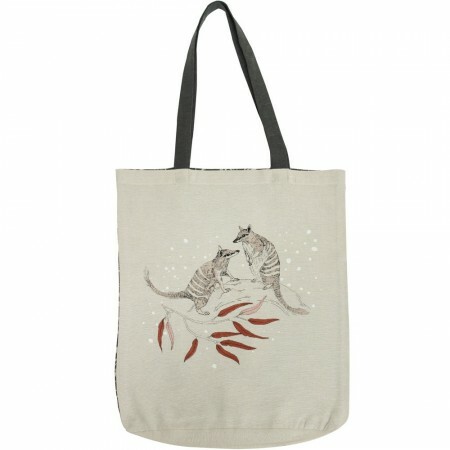 Australian certified organic cotton shopper bag featuring a numbat and Australian animal print. 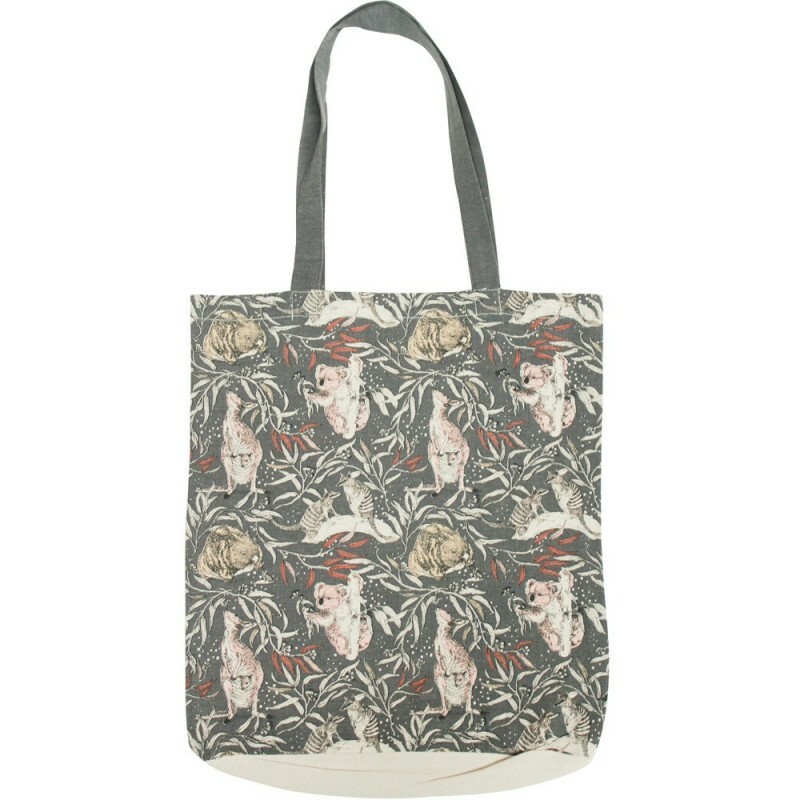 Designed in Australia and printed with organic-standard water-based dyes. Machine washable. 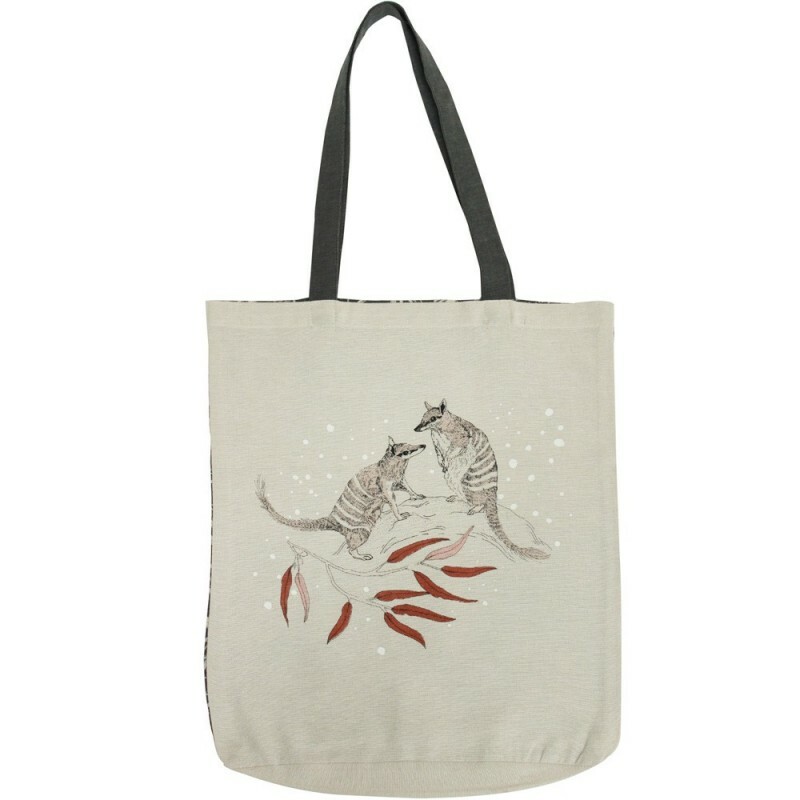 Front is printed with two little numbats on a sandy background; the reverse featuring wombats, koalas, kangaroos and numbats on a leafy charcoal background.